NOBLESVILLE — It's still awhile before baseball season. Even so, in the heart of winter, you can find Brownsburg's Drew Storen at a facility in Noblesville practicing for another shot in the big leagues. "It's nice to have a new elbow," Storen said. "I joke that it's kind of a pit stop and it's been nice to physically and mentally get a break. You get to rebuild the body a little bit." Call it the beginning of his stretch run back to the big leagues, 17 months after Tommy John surgery to repair his arm's the scars help tell the story. It's something most pitchers feel is an inevitable part of pitching at the top level. "There's gonna be some damage in your shoulder or elbow — somewhere," Storen said. The need for suergery adds up over time, but it may have coincided with Drew's need to get away. The now 31-year-old gets a break after 8 seasons in the bigs. Storen said he feels rested and rejuvenated. He even took the family and his 2-year-old son Jace to Disney World. "My goal, honestly, is just to have my son watch me play because I want to make sure he knows I'm not making all of this up," Storen said. "I heard the story about Tiger Woods saying that his kids only know him from YouTube. I'll try to avoid that." The daily grind continues in an empty facility for now, but in a packed stadium soon. 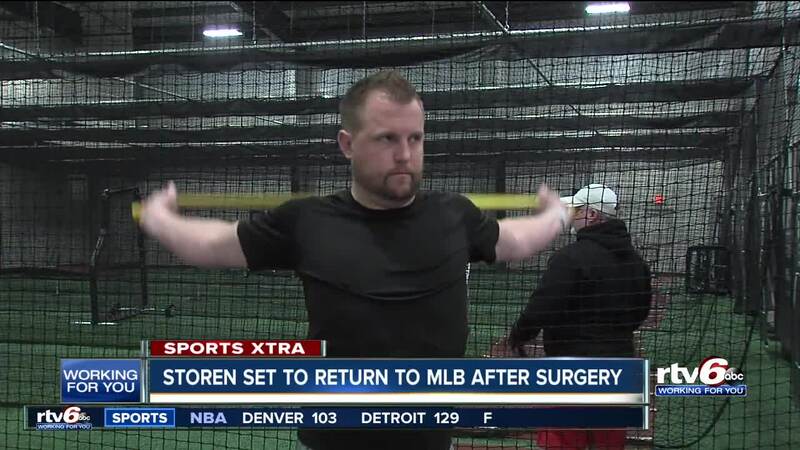 Storen is taking his time, making sure his elbow's right and his mind is right as well.